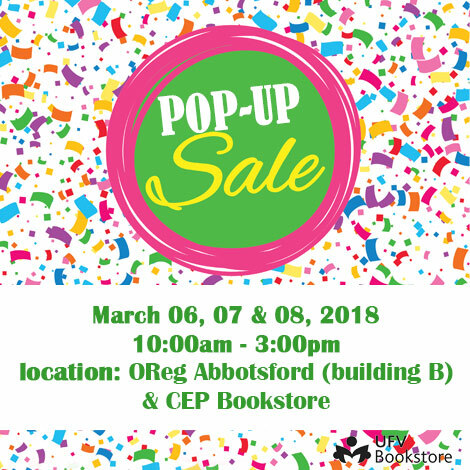 Visit UFV Bookstore Pop Up Sale March 6, 7 & 8! Over 200 school Supplies from $1.00-$5.00! 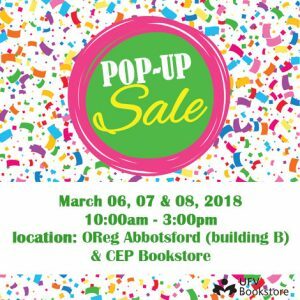 Debit, Credit and Cash Accepted – All Sales are Final.